Boo! I hope I did not scare you, but are you decorated for Halloween? The spooky season has begun, and it is time to celebrate! Show Me Decorating it’s fun! 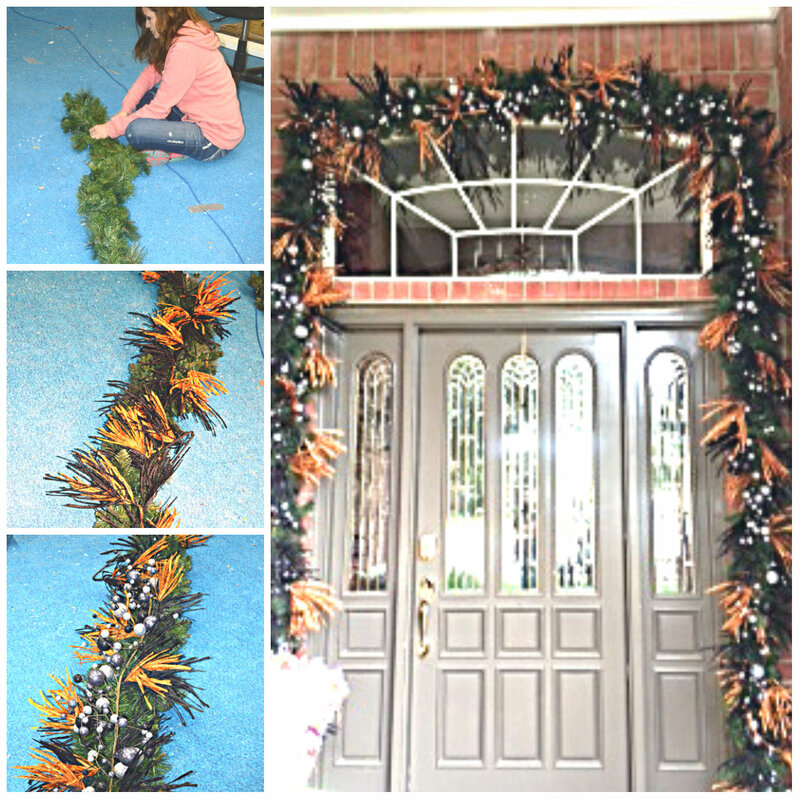 Becky loves to decorate for all of the seasons and holidays. 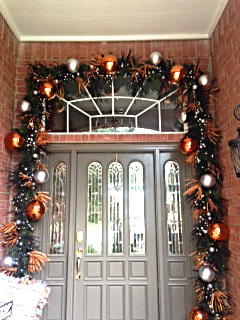 It begins with a theme (Halloween) and a color story (orange, black and white). Ghosts, Pumpkins, and Boo take center stage for Halloween, but notice how the black and white pops out! 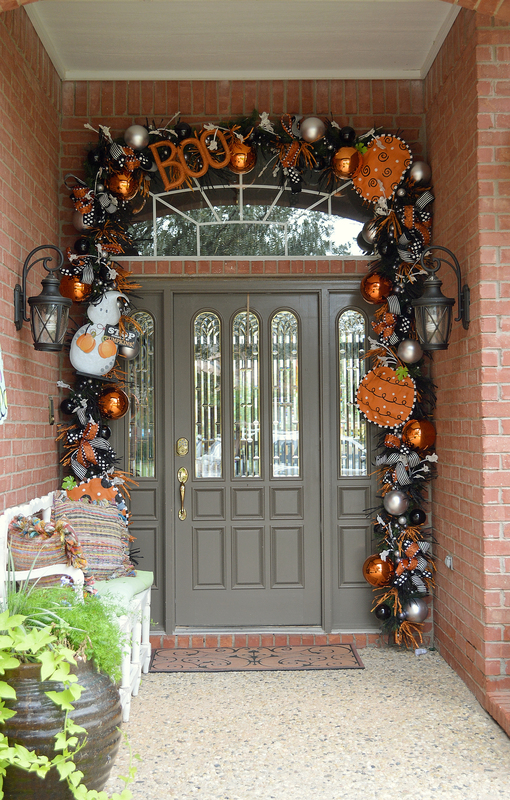 This year Halloween is taking place in stages so be sure and follow us on facebook and pinterest to see it evolve! Did you know you can use your green garland from Christmas as your base? 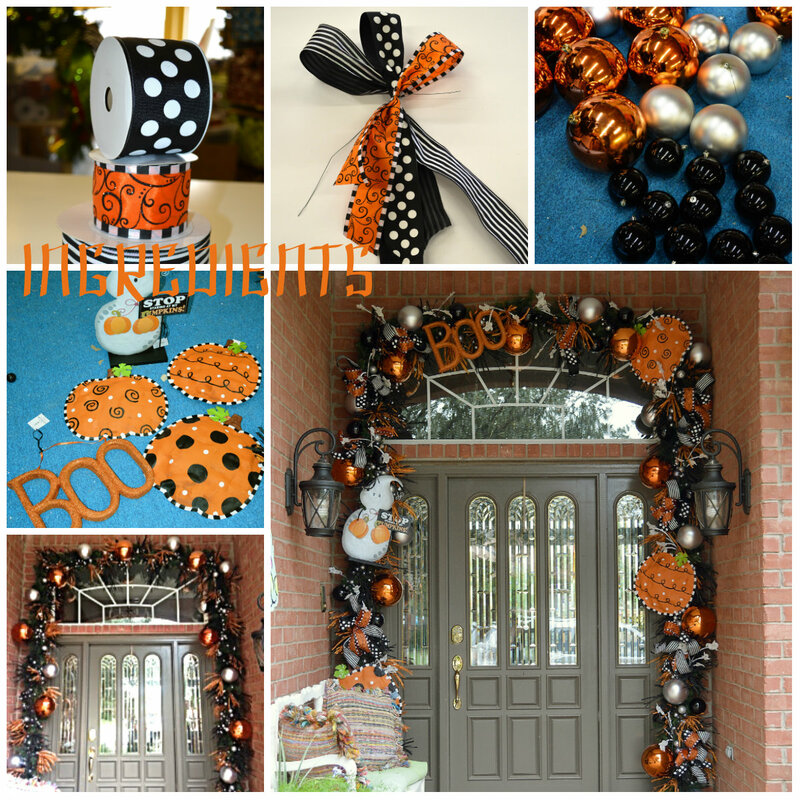 Save yourself some $$$-then add in fun decorative Halloween garlands! Place like items first alternating placement and location. We like to use florist wire to attach items securely to the base garland. Won’t those trick or treaters love coming to this house! Green Garlands secured end to end then attached to the entrance by wiring onto the permanent screws in the brick mortar. P.S. check back for new additions…. 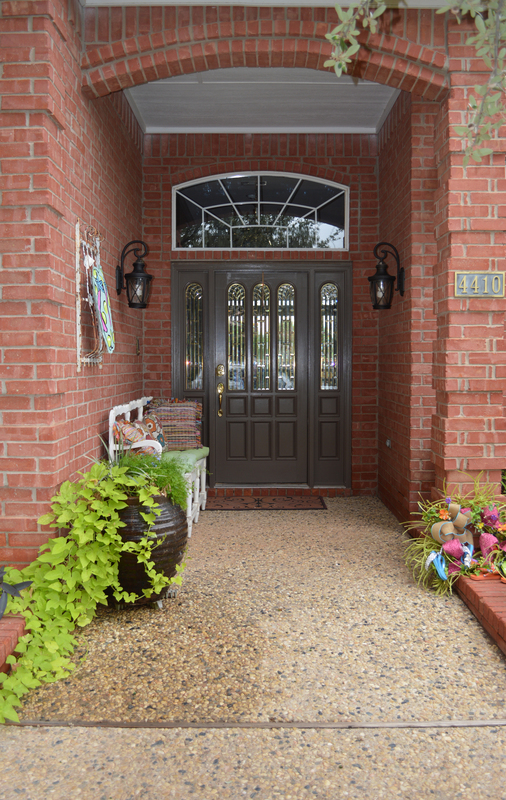 as this porch goes from plain to Boo!